For years I've received inquiries about whether the products featured here on The Diego Files would be available for purchase. I'm happy to announce that many of the products will be introduced for sale at No. 4 St. James, a new online marketplace for the best Texas products. In 2014, a new product will be introduced each week, including items seen here on The Diego Files like the 1800's style brooms by Davis Mt. Broom Co.; Moonshine Cologne; and the Kammok Roo. Please visit www.fourstjames.com regularly to discover new product offerings from the State of Texas. And if there's a product you'd like to request we add to the store, please email me here at The Diego Files, or at orders@fourstjames.com. I once ate half a jar of Pogue Mahone pickles for lunch. That may sound unappealing, unless you’ve tasted them. In which case, you’re jealous. Regulars at farmers markets around Austin have known about Pogue Mahone pickles for some time now. They know to get there early, as the weekend batch of 80 or so hand-packed jars sell out fast. They also know to buy them as they leave the market, to help keep them cold. The cold keeps them crispy. And crispy is the difference between wanting a pickle with your lunch, and as your lunch. Smart new labels (pictured above) are just one of several exciting developments in 2013 for Pogue Mahone. Filed Under: Not merely “pickles.” More like “crispickles,” or “crunchcumbers”. It’s February, which means snow on the ground up north, and ground balls here in Texas. I know of no Texas-based baseball makers. We’ve got excellent gloves, made by Nokona, and which I’ve been proud to feature in the past. Now, Texas can lay claim to excellent hand forged baseball bats, by Warstic Wood Bat Co.
Here’s the first rule: Warstic bats are for game play. I emphasize that because of their obvious beauty. If you’re like me, you’ll be inclined to eyeball your den or office, assessing where a hand-forged wooden bat would display the best. Don’t do that. Don’t buy a Warstic for your home; buy it for home runs. Warstic bats are exactly that: war sticks, designed to prepare you to compete in live action battles in the yard. When you hold a Warstic bat, you’re holding the best American White Ash or Rock Hard Sugar Maple wood on the market. That’s the insistence of former pro player and Warstic founder Ben Jenkins. As a ball player, Ben knows how a bat should both perform and feel. And he’s candid about the secret to achieving great performance and feel: there’s no secret at all. Buy the best wood available, and you’ll make the best bat available. And yes, Warstic bats look great. In addition to being the man behind Warstic, Jenkins is also behind the successful design firm One Fast Buffalo. Knowing that, the unusually high aesthetic quality of these bats is less surprising. There’s a Warstic bat for every purpose, whether for game play, youth, softball, or practice. 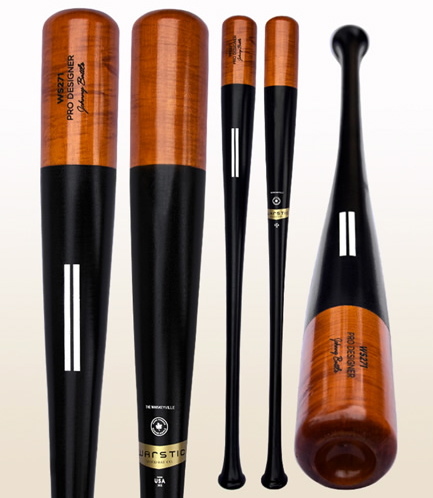 The Pro Standard Issue is Warstic’s go-to, everyday bat and, consequently, its best seller. Have a look at the awesome BlackHawk version, which is flame treated and then finished with a black “longcoat” for added distinction. For even more distinctive styling, consider The Whiskeyville (my favorite) and The Old 1930, central to Warstic’s Pro Designer collection. Like all Warstic bats, these beauties come with free engraving of an individual player or team name. Beyond bats for game play, Warstic offers a variety of training equipment and other accessories. If you coach Little League or otherwise, you’ll want to check out Warstic’s War Fungos, which can be ordered to match team colors. I’m particularly fond of the punchy little Warstic Glove Hammers, for breaking in your glove. Finally, if you really insist on displaying your Warstic, consider a replica display model. These are essentially Pro Standard Issue bats with a fancier paint job, available in half- or full-dip. 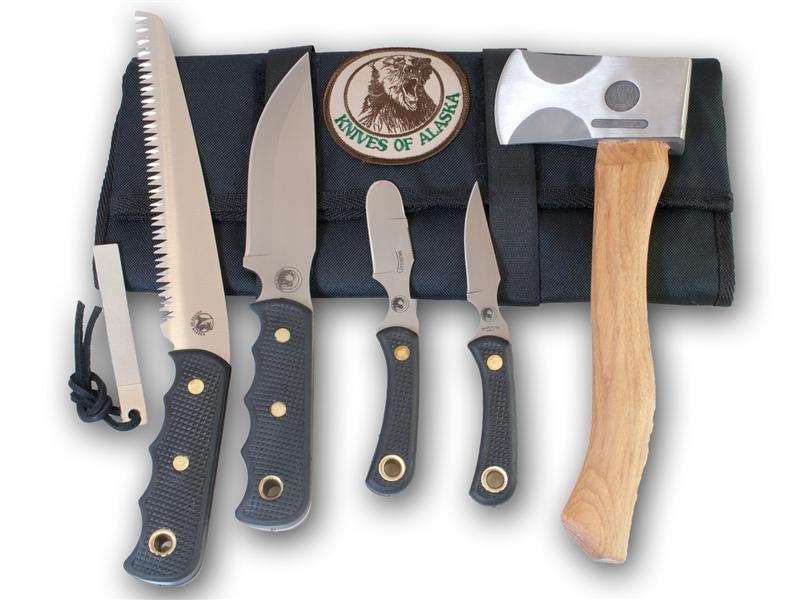 Awesome gift for any guy, of any age. Visit Warstic Wood Bat Co.: Here.